Sadie’s Gifts This entry was posted in Blog. I am supposed to be writing fun updates on t-shirts and details for race day: when to be at the tent, how to pick-up your race packet, how to turn in checks from your donors. And I will. Maybe tomorrow. Right now I can’t sleep. Weekend plans are on my mind. Maybe a little guilt for not having written the newsletter by now. But all the other stuff seems trivial. I repeatedly say that Sadie’s “gifts” go far beyond the money actually donated to Johns Hopkins Children’s Center. I would take her back in a second if God gave me the chance. Yet, I am consistently humbled by how God uses her. Many of you will remember the Kilareski’s from last year. We featured Sarah’s story on our blog and she was the official Princess of the Baltimore Running Festival last year. Well, the Kilareski’s are running for Team Sadie again this year for the third time. However, John Kilareski (Sarah’s daddy) will be doing his half-marathon remotely. John is in the Air Force and is stationed overseas. He will be running his half-marathon in the desert. Kids like Sarah directly benefit from the training we are funding. God uses Sadie to motivate John Kilareski, Carrie Kilareski, Matt Kilareski, and Sarah Kilareski. Matt Sunday is running the full marathon. He is running for his goddaughter Clelia and another baby girl Maddie, both of whom have had open heart surgeries this year. Matt has had to up his goal twice and is currently at 101%. Matt registered in January before we had changed any of our info to reflect 2013. Anyone else would have given up on us or found another charity, but he was persistent and paitent with us. Kids like Clelia and Maddie benefit from the training we are funding. God uses Sadie to encourage Matt Sunday. Lynn Fisher had already registered for the full marathon. He was looking into running with a charity and found us. His note read: I read about little Sadie and she captured me. I look forward to being a part of her legacy. When we spoke to he was concerned he wouldn’t be able to raise $250. He raised $335 in less than a week. He just told me today that he’s not done. God uses Sadie to inspire Lynn Fisher. God uses Sadie to draw people to register year after year after year. These are three small, but mighty examples from our runners. Sadie is causing people to donate who have never donated before. Runners are humbled every day by generous donations from family or friends. Entire families are running together and training together. I think we have more family participants this year than any other. Mothers are stepping away from the soccer or football field to participate in making a difference. Sadie is making a difference at Johns Hopkins Childrens Center. You can see that in our new video. But Sadie is also changing the lives of those who come in contact with Sadie’s Gift or Team Sadie. Not just my life, or my family’s, but yours too. God is using Sadie to make a difference. 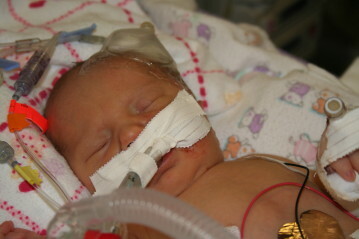 Our goal is to raise One Million Dollars by Sadie’s 10th birthday in three years. $1,000,000 will fully fund the endowment that supports the training program in Sadie’s name. It’s a crazy goal, but we think God is in the crazy business. We believe God is calling us to fund this training in Sadie’s honor. It takes money to do that. If you are receiving this email please help us in our quest to fulfill the purpose for which we believe God created Sadie. Please donate right now. Click here to make a donation to Sadie’s Gift or to support one of our team members running with us on October 12th.